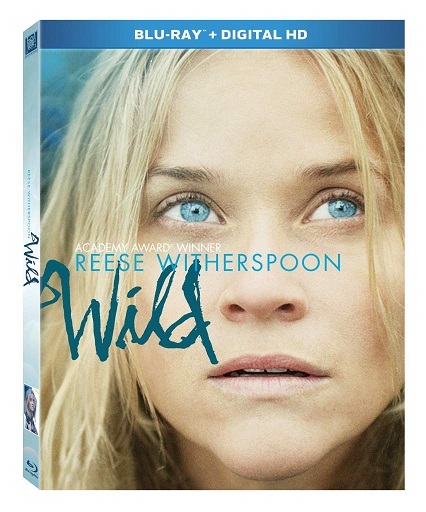 Twentieth Century Fox Home Entertainment and Fox Searchlight Pictures invite audiences to embark on a remarkable journey of self-discovery, with ACADEMY AWARD®-Winner* Reese Witherspoon, as WILD finds its way home on Digital HD™ March 17th and Blu-ray™ and DVD March 31st. Based on the best-selling book by Cheryl Strayed and featuring OSCAR®-Nominated performances by Witherspoon (Best Actress) and ACADEMY AWARD-Winning† co-star Laura Dern (Best Supporting Actress), WILD brings Strayed’s gripping and inspirational true story to life. From the director of Dallas Buyers Club (Jean-Marc Vallée), WILD recounts the reckless behavior of Cheryl Strayed (Witherspoon), who makes a rash decision to embark on a challenging trek across the Pacific Crest Trail. With absolutely no experience, she sets out to hike more than a thousand miles all on her own — in what becomes an unforgettable journey of transformation and redemption that strengthens and ultimately heals her. The WILD Blu-ray™ and DVD are packed with behind-the-scenes featurettes, an interactive trail map, audio commentary and deleted scenes, all designed to take audiences deeper into Nick Hornby’s adaptation of Strayed’s first-person memoir, “Wild: From Lost to Found on the Pacific Crest Trail,” which recounts her hike along the PCT, which stretches from Mexico to Canada. The release also includes a chance for fans to go behind-the-scenes in “The Real Location Is The Best Location,” which delves into the authentic shooting process at the Pacific Crest Trail – the actual location where Cheryl Strayed began her journey. In “The Real Cheryl Strayed,” audiences can learn about the woman who inspired it all. Book and movie fans will also receive a touching story extension in a collectible booklet from author Cheryl Strayed when they purchase the movie on Blu-ray. When I heard about this movie I thought to myself I don't think I would like it because it isn't the kind of movie I would usually watch but I like to try to watch differnt genre of movies even thought I don't think I would like it because you never know, you might be surprised. Well, this movie was one that surprised me. I actually did enjoy it. Not sure if I would personally watch it again and again in the future but I might. I thought it is well done and and the acting was good.